The history of Mexican Americans in Utah is complex, but it is also a history that is neither well represented in mainstream recounting nor well recognized in the mainstream understanding of Utah’s past. Convoluted interactions among Native Americans, Spaniards, French, Mexicans, Anglos, and others shaped the story of Utah. Awareness of the long presence of Hispanics in Utah is essential to understanding the history of the state. This volume is an attempt to piece together that history through photos and oral histories. As Armando Solórzano and other researchers conducted oral history interviews with Mexicans, Mexican Americans, and other Latinos throughout the state, a number of participants began giving the team photographs, some dating back to 1895, which provided an opportunity to begin reconstructing a history through pictures, as a community project. Within two years, Solórzano and his colleagues were able to create the pictorial history of Mexican-Americans and Latinos in Utah and launched their efforts as a photo-documentary exhibit. This book collects photographs to represent different historical periods and the manifold contributions of Latinos to the state of Utah. Readers who delve into this book may see these photos as artistic expressions or artifacts of history and photographic technique. Some readers will see images of their relatives and precursors who labored to create a better life in Utah. The images evoke both nostalgia for a time gone by and the possibility of reconstructing history with a fairer premise. 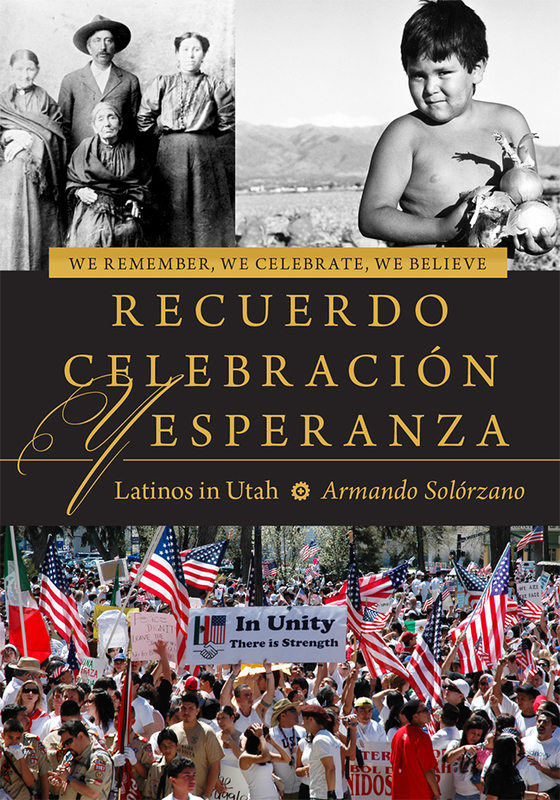 The book does not tell the full story of Latinos in Utah but should prove to be a catalyst, inspiring others to continue documenting and reconstructing the neglected threads of Utah’s history, making it truly the history of all of us. Recipient of the Meritorious Book Award from the Utah Division of State History. Armando Solórzano is director of Chicano Studies at The University of Utah, where he holds joint faculty appointments in Ethnic Studies and Family and Consumer Studies. He is the author of Fiebre Dorada o Fiebre Amarilla? : La Fundación Rockefeller en México. —Gary Topping, author of If I Get Out Alive: The World War II Letters and Diaries of William H. McDougall Jr.